Do you like the look of distressed furniture? How about white distressed furniture? I am starting to get on a new kick of repurposing furniture – I think it's pretty fun! 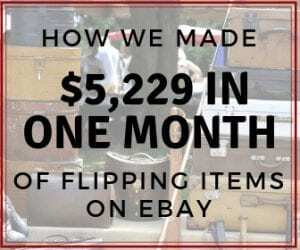 Today we have winner #3 in our furniture flipping contest series – and it's a fantastic flip! These bedside tables were beautifully done by Cecilly Bumatay. She is a successful realtor in New York, and when she is showing houses, she sometimes falls in love with some of the furniture they have in the home. She then asks the owner if they are planning on throwing out a piece and if so she would haul it away for them. 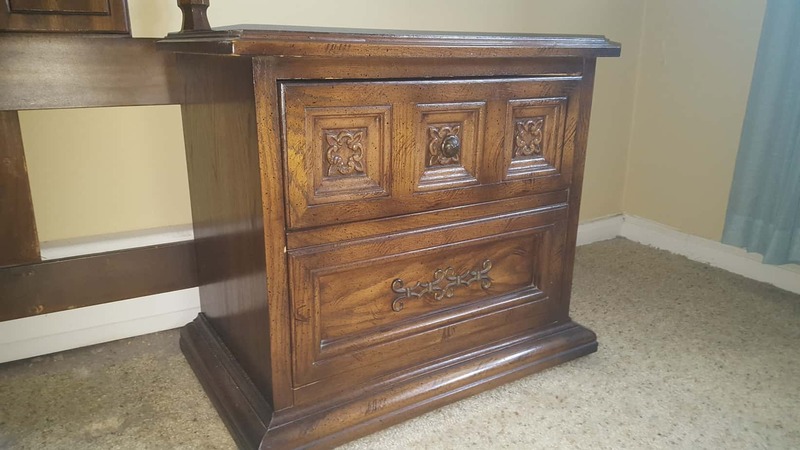 She has been able to score some pretty great pieces like these bedside tables – for FREE! It was gorgeous wood to start with, and she had a great vision for them. Check out what she did to distress them below. Step 2. Sanded down finish off of the wood. Step 3. Painted on Minwax White Wash Pickling Wood Stain. Distressed wood by sanding down parts that would normally wear. Step 5. Painted hardware black for the contrast with the white. Used Rustoleum Ultra Cover Gloss. 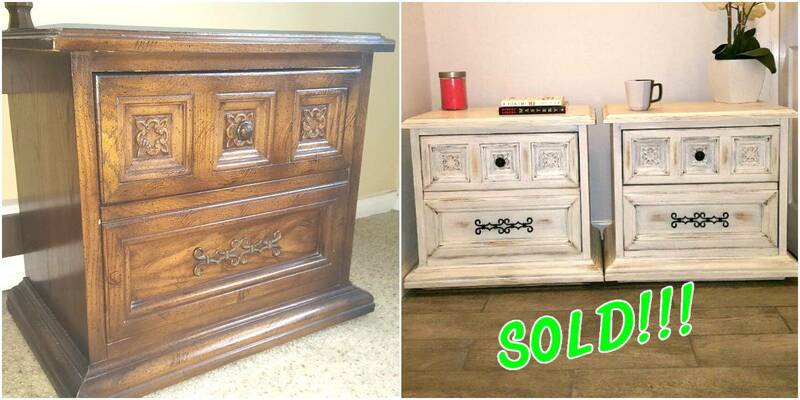 Painting them saved her since hardware can be the most expensive part of a furniture flip. both end tables with Varathane Polyurethane Matte soft touch finish. And that was it! 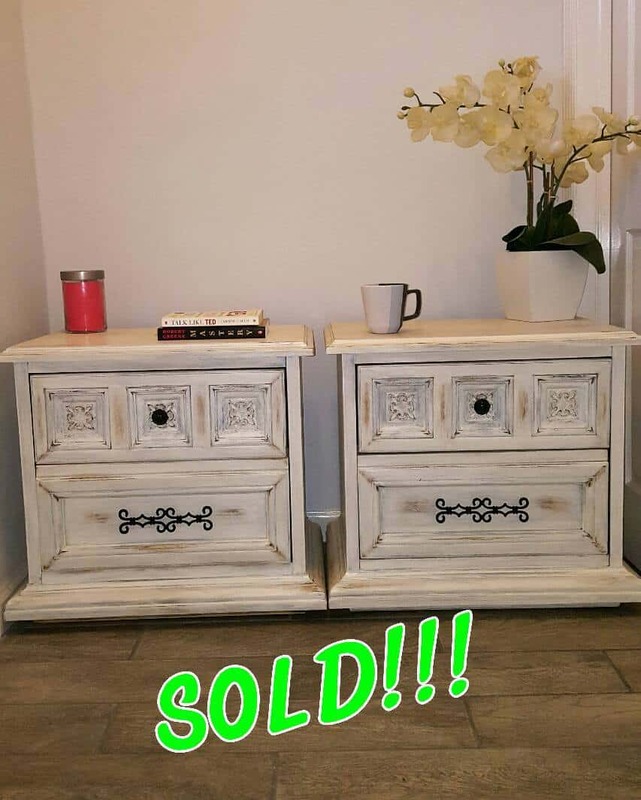 She sold these gorgeous bedside tables for $125! She put about $15-$20 in materials into them, and like I mentioned before, was able to get them for free. I really love these pieces! Didn't they turn out awesome?! Love the white distressed furniture look. 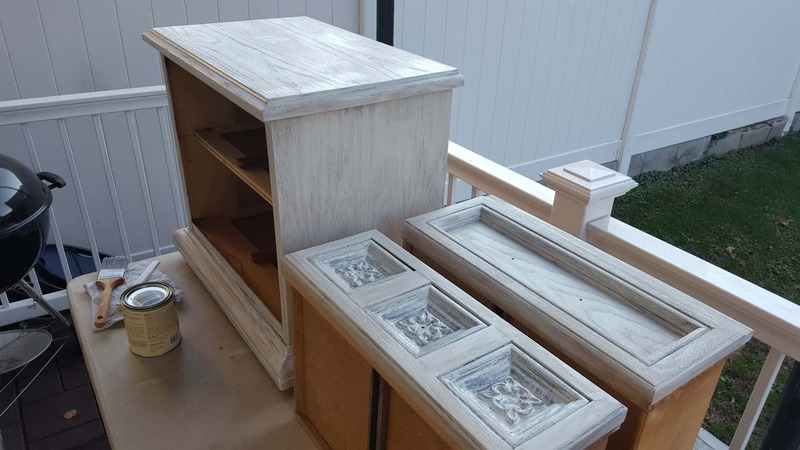 They started with good bones – which is a huge key when repurposing furniture for profit. 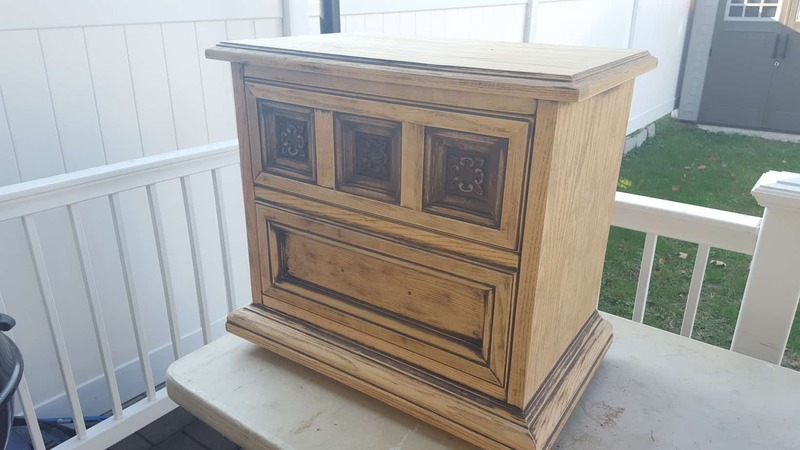 If it's not a good solid wood, it's not usually worth putting the time into redoing the piece. 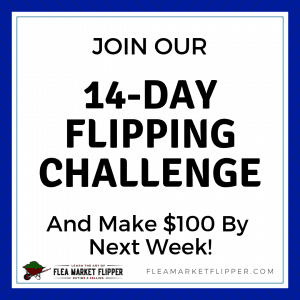 Are you currently a furniture flipper who wants to make more profit from your flips? Have you ever thought about reaching a larger audience and shipping your beautiful pieces? Grab this PDF of 3 common myths about shipping furniture if you have thought that shipping furniture was out of the question before. 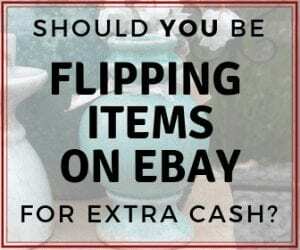 This will also add you to our flea market flips and eBay tips. We send e-mails about once per week and you can unsubscribe anytime. 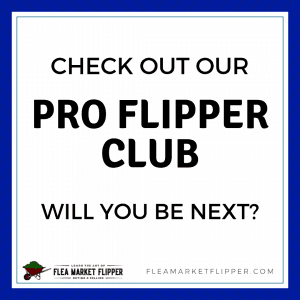 And if you are a furniture flipper looking to double your profits by reaching more people, check out this masterclass we will reopen again soon. Do you love repurposing furniture? Do you love the idea and want to start? Comment below and share with us your story. I'm recently starting to love furniture flips and am excited to bring some more to you. 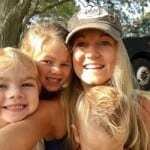 I am a SAHM of three little ones that keep me busy. 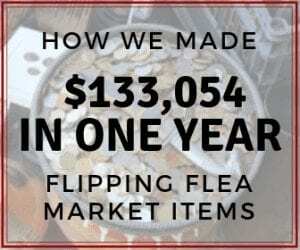 I also love working on our Flea Market Flipper blog and helping you become more successful with flipping. I like your way of sharing such a useful information with us. Keep it up. I would love to try this one. I love the idea of flipping furniture like this in flea markets. 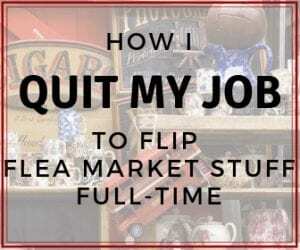 Have you considered doing a post on the business of flipping like this ? Something that discusses the time commitment vs. the profit of flipping something from free -> 150$?